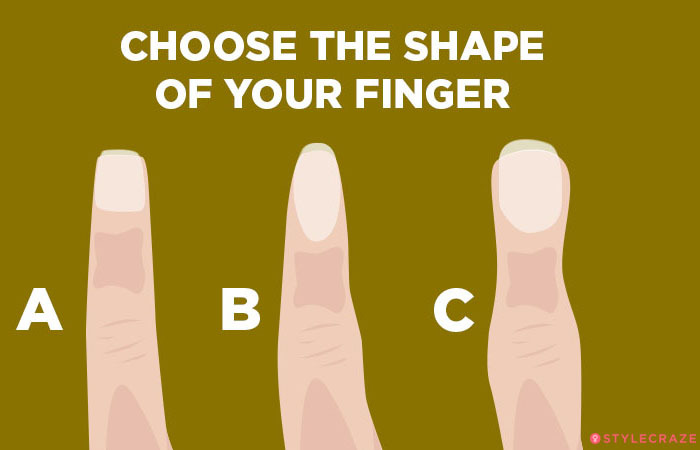 Shape Of Your Fingers Can Determine Your Personality! We all want to know what the future has in store for us, right? Right from the mysterious tarot card readers to the crystal balls, we love trying them out just to know how close we are to our dream life. We surely can not learn how to read palms in a day, but we can definitely try to take a quick lesson on how to read ours as well as other personalities by observing the shape of their fingers. 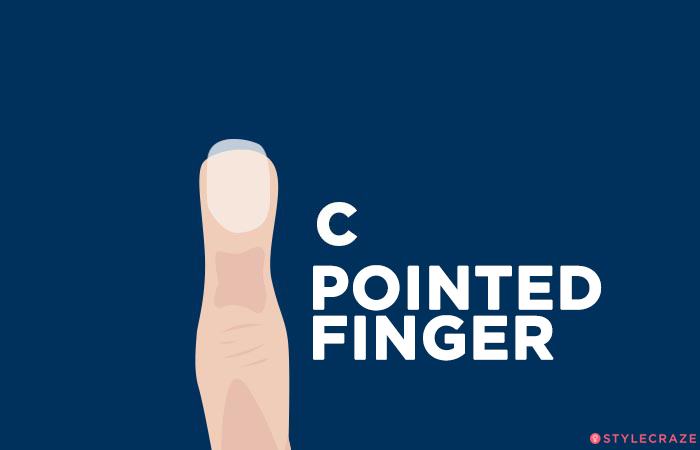 Yep, the shapes of fingers to help determine person's personality. You can do it all by yourself; you can determine your personality as well as those of others by looking at the unique construction of their fingers. All you have to do is look at the illustration given above and analyze the shape of the fingers with the help of that. See which of the three options it matches or comes close to. 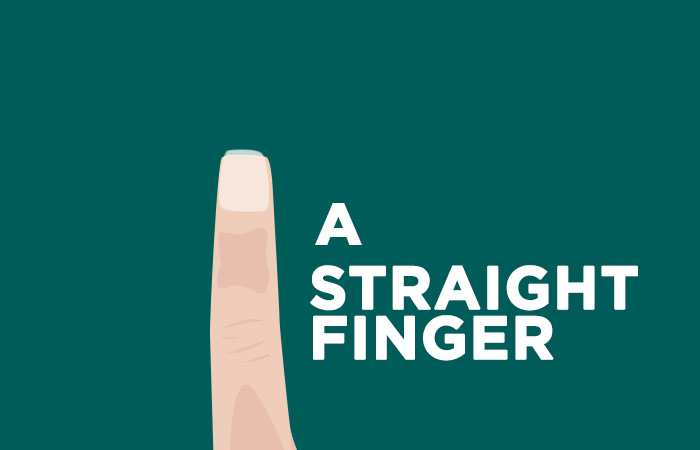 And once you've decided on the options, scroll down and read what the selected finger shape has to say about a person's personality. Let's play the "Foreseer." This finger looks relatively straight in appearance. People with this kind of finger always guard their inner feelings and emotions. They have an austere look with a stern face that makes people think that their life must be all sorted. But, in reality, there is a tornado of emotions twirling inside their heart and mind. Outwardly, they look extremely calm and cool, strong and independent, even when they are not. The finger looks slightly gnarly and teeny-weeny unusual, shape-wise. These features of the fingers correspond to the fact that this person has a passive approach when it comes to meeting new people. They wait for the other person to take the first step and get cordial. They are great on daydreaming. And if they ever feel hurt, they will never say it. They will just show that they are fine and normal. They are strong-headed. If they set their eyes on their goals, they will put in all the required efforts, sometimes even more than that. But they make sure that the dream becomes reality. Hell yeah, such people are sensitive. But they do not let others know about it. How do they manage it? Well, they wear the mask of "All is well." The finger is slightly bent around the knuckles (mid- section). If someone's fingers look like this, then they have a huge distaste for new challenges. They love their Lakshman Rekha and would never dare to cross it. They love the familiar and hate the unfamiliar. They will never pretend to be okay like the type-B finger people. They will respect their opponent's views and ideas, but will make it clear if they are not okay with it. They are clear about their likes and dislikes in life. And although they can be a bit overbearing at times, they like keeping their emotions to themselves. Fights are never encouraged by such people and they can never be mad at a person for too long. Which is not all good, right? It's okay to forgive somebody, but one should not blindly believe the same person again. They have a sensitive heart that makes them prone to being hurt easily.